The UNESCO Office in Hanoi and Vietnam Cultural Heritage Conservation Support Fund has held a round-table meeting to discuss a new approach to study Vietnam’s heritage. The January 16 meeting marked the beginning of a series of regular discussions on heritage-regulated issues, aimed at satisfying the demand for exchanging information between specialists and mass media. It was attended by UNESCO representatives in Vietnam, representatives of the management boards of Vietnam’s world heritage sites as well as heritage specialists. A report generalising the studies conducted by Lucerne University (Switzerland), Vietnam Academy of Social Sciences and UNESCO Office in Hanoi, distributed at the discussion, points out the necessity to amend and supplement the framework of Vietnam’s laws to match the policy on the integration of a sustainable development perspective into the processes of the World Heritage Convention, which has been adopted by UNESCO. According to Peter Larsen, who holds a PhD from Lucerne University, one of the important sustainable development objectives is protecting the basic needs of local communities within the heritage areas, particularly ensuring their participation and benefits. “Vietnam’s world heritage has been recognised, but on the contrary, the local heritage, which is the traditional customs of the ethnic people, is under threat,” Larsen said, adding it was necessary to strike a balance between the rights of businesses who exploit tourism within the heritage area and the authorities of the local people within their land. Nghiem Hoa,a cultural specialist and researcher from UNESCO, agreed with Larsen and emphasised the need of common goals to balance the benefits of both sides. “Ideas to promote the local identities should be encouraged to motivate the local community to actively participate in the introduction of any regulations that are related to spiritual and material benefits from the heritage,” she said. Associate professor Dang Van Bai, vice chairman of the Vietnam Cultural Heritage Association, suggested conducting a survey to collect ideas from the communities to see which articles of the law they wanted to amend, which would also serve as a new approach to study Vietnam’s heritage. Based on the results of the survey, the communities’ opinion would be proposed to the administrators, he said. The meeting also introduced the recently released book, World Heritage and Human Rights: Lessons from the Asia-Pacific and Global Arena, edited by Peter Larsen. It includes several studies of Vietnam’s world heritage sites. Vietnam has eight world heritage sites recognised by UNESCO. 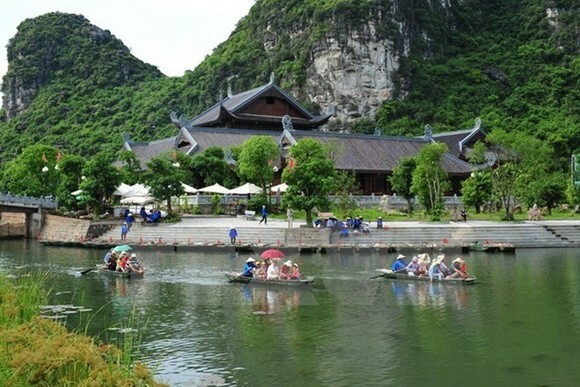 These include Hue Monument Complex, Ha Long Bay, Hoi An Ancient Town, My Son Sanctuary, Phong Nha-Ke Bang, Thang Long Imperial Citadel, Ho Citadel and Trang An Landscape Complex.